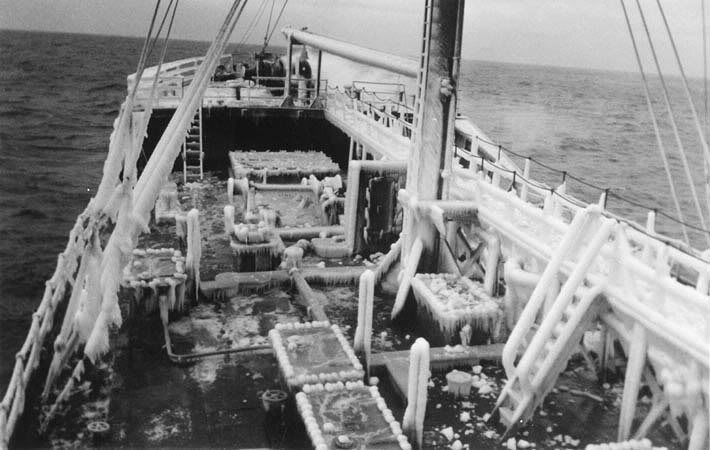 "Vaclite" covered with ice, in the North Atlantic. 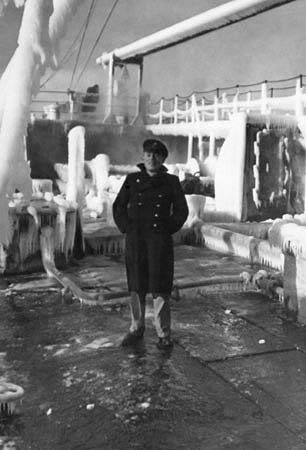 In 1939 we see Robert Marshall Purvis on the deck of the ice encased m.v. "Vaclite ". 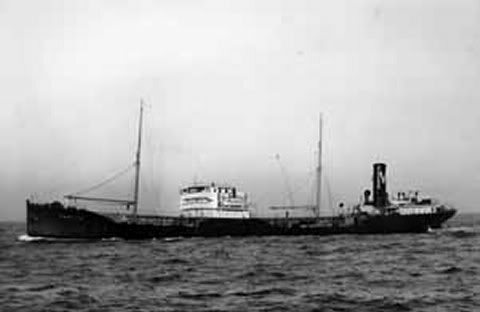 A not very sharp and small photo of the "Vaclite". 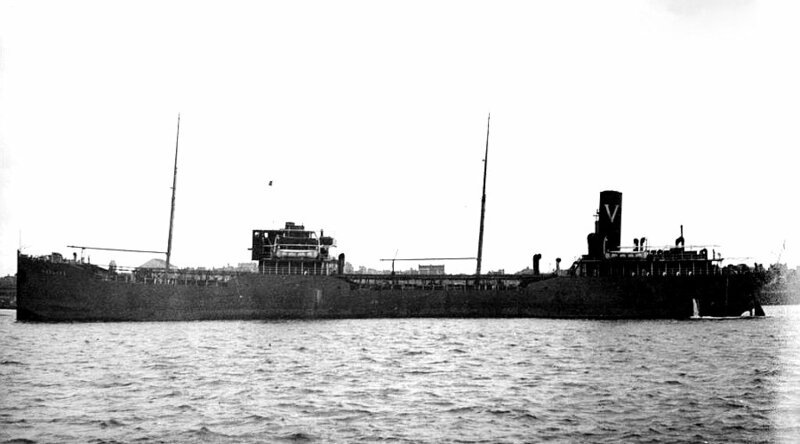 voyage London - New York, in ballast. 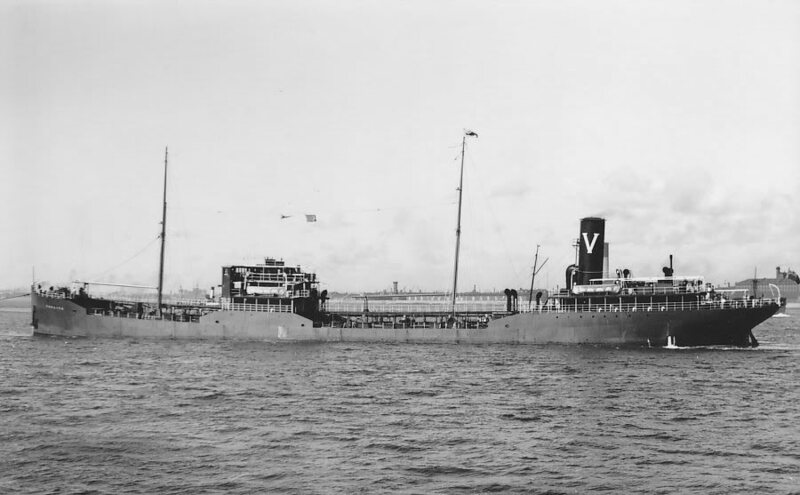 The Miramar Ship Index for "VACLITE"
Torpedoed and sunk by U-55 at 49.20 N / 7.04 W on 30.01.1940. Complement: ? men (? dead and ? survivors).